My personal understanding is that plants have a body, animals have both a body and a soul, and mankind has a body, a soul and a spirit. However, angels, as I understand, do not have a body that is physical. Jesus seems to have indicated this after His bodily resurrection. Are angels, then, classified as spirits, having no flesh and bones? If so, are they spirits with souls or just spirits? I would like an answer from the perspective of those who hold to the tripartite nature of mankind (body, soul and spirit). I do not know if positions differ between the traditions of Protestant, Orthodox and Catholic. If they do, I am specifically interested in what Protestants believe on this issue and and in what ways this is distinct. Within the writings of defenders of the trichotomic nature of man there is significant variation on the question of the nature of angels. The trichotomy of man is a much more popular doctrine within Protestantism than in other branches of Christianity, so that's the background of the theologians quoted here. The simplest part of this question is, do angels have spirits? It's not surprising that these theologians hold that angels are spirit or have spirits. Evidence for this will be seen as I handle the remaining two questions: Do angels have bodies? Do angels have souls? Defenders of the trichotomic nature of man fall into three camps on this question: (a) angels do not have bodies, (b) they have a particularly pure body, unlike our own, and (c) we don't know. Angels are, or have, spirits. Angels do not have bodies like men; if they do have bodies, they are in some sense spiritual bodies. Angels do not have souls. Williams, Renewal Theology, Volume 1, 173–74. Delitzsch, A System of Biblical Psychology, 81. Larkin, Rightly Dividing the Word, 93. Heard, The Tripartite Nature of Man, 87. Heard, The Tripartite Nature of Man, 354. Delitzsch, A System of Biblical Psychology, 231. Beck, Outlines of Biblical Psychology, 9. Chafer, Systematic Theology, Volume 2, Chapter 2. I have taken a lot of help on this very issue from Ray Stedman and Arthur Custance. All God's creations that move have tripartite existence: spirit, body and soul. First, there is the unmistakable lesson from the order the Bible relates to us Noah's sons: Shem, Ham and Japheth; i.e., the spiritual, physical and intellectual. We are first a spirit given a body to develop our minds--the order of existence. We exercise our minds to control our bodies imprinting our spirits--the order of reason. Second, there is the observation that we are a spirit married with a body that forms a soul as in a gestalt. If the body returns to dust, the soul vanishes; and the spirit is at the mercy of God. Until the end of times when the body is returned, the soul must be gone. So, spirit is life. Body is flesh and bone. Soul is thoughts, feelings and will. I tried to use my own words to explain the relationships, so that I could be sure I was saying what I thought I had learned. So, please, be charitable in your interpretation of my meaning. Hope I was helpful. Ps. Just a word about spirit vs. soul. I believe soul means mind, intellect, our consciousness of ourselves. (So, to speak of "mind, body and soul" is either redundant or a misnomer.) Often when we speak of the soul, we must discern from context whether we meant the "breath of life," our spirits; or if we are talking about our conscious experience of life, our souls. Custance gave a great analogy that I will adapt to my own: our bodies are a machine, our spirits the electricity, and our souls the purpose we put them to. Absent the spirit, the machine is still; and the soul simply disappears. Body? yes. 1) Abraham fed them, and 2) Lot took them into his house, 3) they bow down and worship God. Spirit? yes. 1) evil spirits are fallen angels. Soul? biblically yes. from the Biblical definition of soul. If they are alive, they are a living soul. There is no dead soul in the Bible. In discussing this issue, I feel comparison and contrast will be helpful. God is Spirit (Jn 4:24). When God acts, he wills with his entire substance. When I use the word substance I do not mean material substance. Gen 2:7 "man became a living soul"
Num 11:6 "But now our soul is dried away"
Deut 13:4 "to know whether you really love the LORD, your God, with all your heart and soul"
Ps 119:20 "At all times my soul is stirred with longing for your judgments"
Prv 18:14 "The spirit of a man will sustain his infirmity; but a wounded spirit who can bear?" Ecc 3:21 "Who knows if the life breath (Hebrew rûach roo'-akh) of mortals goes upward and the life breath of beasts goes earthward?" Zech 12:1 "fashions the human spirit within"
1 Cor 2:11 "who knows what pertains to a person except the spirit of the person that is within"
Next It is important to see the relationship between the soul and spirit. Heb 4:12 "penetrating even between soul and spirit, joints and marrow"
From Hebrews St. Paul compares the relationship between soul and spirit to bone and marrow. The marrow is inside the bone, and similarly, the spirit and soul are intertwined in some way, being distinct, but not able to be separated except by the Creator (hence the word of God doing the separating). I liken soul to mind, they are equivalent. If this is correct, then I can compare the Triune God with the tripartite man. Our minds and spirits interact in some way with our bodies and affect them and our bodies affect our spirits and minds/soul. Man is not purely simple like God, so we do not act with our whole substance, but our will for example is distinct from our substance. So then onto angels. Angels are purely spiritual (Catholic Catechism 328). Both spirit and soul are spiritual as seen in Heb 4:12, because they are intertwined in some way. With the correlation between soul & mind, since angels can think and will, they must have a mind/soul in order to think and decide, hence angels have spirits and souls. I believe the catholic understanding is, that Angels do not have a body, just spirit, which is the soul. I think Jesus' words, are to suggest that he is fully human, meaning that he took on corporeal form thus reaffirming that body is equally good or holy in comparison to spirit, that body and spirit, are inseparable in some sense(1) ie, that body is not something that a soul is "trapped in" in a Cartesian sense, or as claimed by eastern spirituality or Christian puritanism. (1) this is why the Catholics believe in resurrection of the body; a very strange, archaic concept to many, because gnostic "spirit good, body bad" and infiltrated out thinking in many ways. RE animals and plants having souls; don't know much about this, but could it be an Aristotelian-scholastic view/way of reasoning about things without necessarily the same meaning as human soul? This may refer to an apparition or ghost, which the disciples first suspected. Scripture clearly demonstrates and personal experience further confirms that many angels do indeed have full and tangible bodies. It is a misunderstanding of the spirit realm and of angelic beings to assume that they can not materialise and even function as a human being, (this can be seen early in the book of Genesis). The spirit realm is much more "real" than the material world we live in. God is a SPIRIT, do you assume he has less substance than yourself or all of His glorious creation? It is probably counterproductive to rationalise as to whether angles have the specific qualities you enquire about. We cannot begin to imagine Heaven. We cannot grapple with the absence of time and without it, we have barely a notion of what eternity is. Yet, eternity is that which born again believers have already entered! We can sit in our office, drive our cars, dig ditches and yet at the same time be seated in Heavenly places in Christ! Not the answer you're looking for? 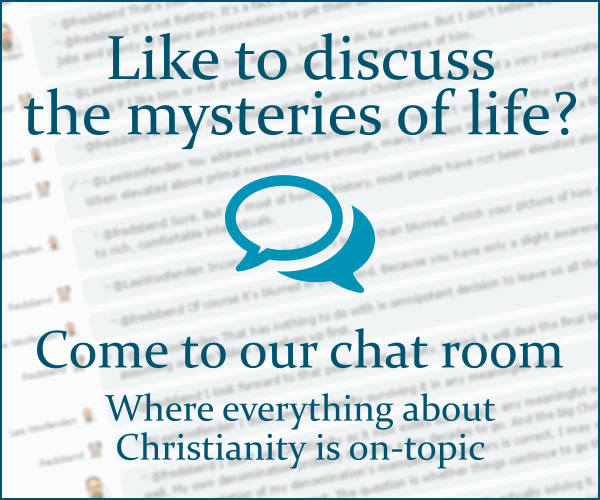 Browse other questions tagged protestantism angels souls spirit trichotomism or ask your own question.